​Click on the covers for reviews. 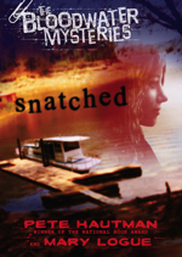 Mary Logue and I wrote these funny and suspenseful mysteries about two young detectives—a 13-year-old boy and a 16-year-old girl—who solve crimes in Bloodwater, Minnesota. Suitable for ages 10-up. ​The dead tree version is out of print, but you can still get the e-book versions, or find them used.